If you’ve toughed out the early stages of building a product from scratch, it can seem like the launch of your product is the finish line where you get a little time to rest, pat yourself on the back, and relax. Except anyone who is part of a successful, growing company knows this couldn’t be further from the truth. After you launch, you have to keep developing — this time with real, live feedback from actual customers. As you manage growth, you must be simultaneously streamlining internal processes. It’s a juggling act and it’s easy to drop the ball. Video hosting company Wistia found this out firsthand when they built their business video solutions from startup to successful company. 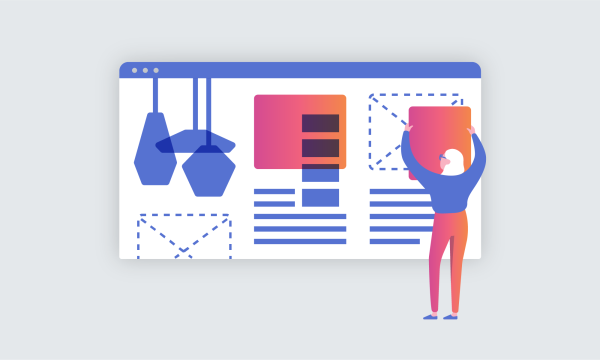 They have gradually streamlined their process for building their product and their company, and they have used FullStory to do it from early on. We had the chance to talk with Andrew Capland, Director of Growth at Wistia (And recent expert contributor to the Marketer’s Guide to Customer Experience), about how FullStory fits into their growth process. Investigate problems in the customer experience. Every company wants to improve their customer experience — Wistia is no exception. They use FullStory to discover weak links in their customer experience, seeing those moments as opportunities. Before we had FullStory we did a lot of guessing. We’d say, ‘Hey, there’s an opportunity and here’s why I think that,’ and then we’d try to cobble together some data to validate the assumption… FullStory helps us validate opportunities with a lot more confidence. Any time you can get closer to your users and closer to your customers is hugely beneficial. You know things that they’re excited about and things that are really confusing to them. As qualitative data, watching session replay allows Wistia to assess what is actually going on when a customer experiences a problem. This is a crucial way they explore customer problems. Of course, FullStory isn’t the only way Wistia digs into customer experience. They also just take the time to talk to users. Asking why a Wistia user didn’t take that final step to create an account can be illuminating, providing an important supplement to session replay and help understand what customers do and don’t want. Additionally, quantitative data plays a role in figuring out where people are dropping off, and indicating what places the growth team should investigate further. Analytics provide a good start, and information from strategically placed surveys can round out the picture. Wistia’s multi-pronged approach to pinpointing problems makes for a deep investigation of the customer experience. From this arises a fully-realized problem to be solved. Choose an idea they think will be successful. Run an experiment (e.g. an A/B test). For example, Wistia had a problem with users getting stuck during onboarding if they didn’t have a video ready to upload into their new account. Having a video to play with during the tutorial was an important part of ensuring users could see the robust features Wistia’s video service offers. The Wistia Growth team knew they had an opportunity to make onboarding a better experience for users by helping them complete the process — even if they didn’t have a video available. So the team brainstormed solutions, and chose an idea— provide users with a pre-made video they could learn from. A screenshot of the onboarding for new users on Wistia. Note the “Borrow one of ours” link. The first video Wistia chose to offer their new users was a cute, generic video, and the team quickly noticed that users weren’t actually watching the video all the way through. They raised the stakes and made a how-to video that would help new users learn the product and perform double-duty as the necessary onboarding video with which they could manipulate the product. Then, Wistia ran an experiment and A/B tested to see if users were getting into the video customization tools faster with their new instructional clip. After waiting for enough traffic that they’d have statistically valid results, they saw a 30% increase in their customization engagement metric. Wistia’s process can be used by any organization so long as there is a mechanism in place to test the idea and measure results. NOTE: If you’re looking to run a similar experiment with new users in FullStory, you can research the sessions of your new users by simply toggling “New this week” in the left menu when you’re logged into FullStory (look for the pacifier icon). With growth comes new features and with new features comes the need to understand how customers are responding to product changes. 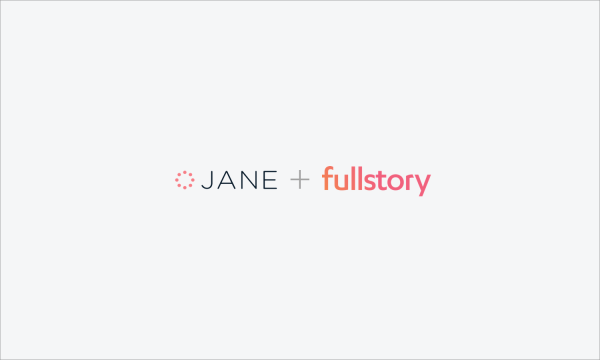 “We use FullStory to make sure that there aren’t any gotchas, or any unforeseen bugs, or user experiences we didn’t anticipate. If you’re not a FullStory user or have never used session replay, when Andrew says “we’ll watch people roll into our experiment,” he literally means watch the replication of the users session — like a pixel-perfect video reproduction of what the user saw, did, clicked, etc. Session replay not only allows Wistia to head off problems before they frustrate too many users, but it also helps them evaluate whether or not a refinement to the product is working or still needs fine-tuning. Watching user sessions is not the only way to gauge success. Wistia analyzes core metrics to understand the impact of any changes they make, as well. Wistia knows the metrics they expect to change, and monitors those metrics closely as a standard practice. Seizing opportunity means knowing your product. When you’re trying to build incredible products from the ground up, understanding the customer experience as your company grows and your product changes is critical. Wistia is an incredible product being made better all the time. As Wistia users ourselves, we’re proud that FullStory helps them perfect their product by providing qualitative and quantitative research into real user behavior. Thanks to Andrew Capland and Wistia for sharing!